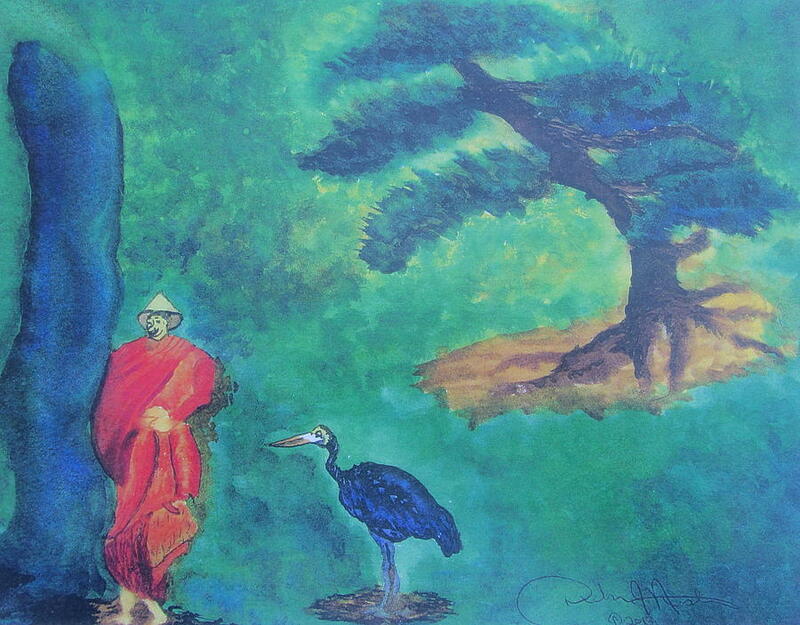 Monk With Bonzai Tree is a painting by Debbie Nester which was uploaded on August 23rd, 2013. 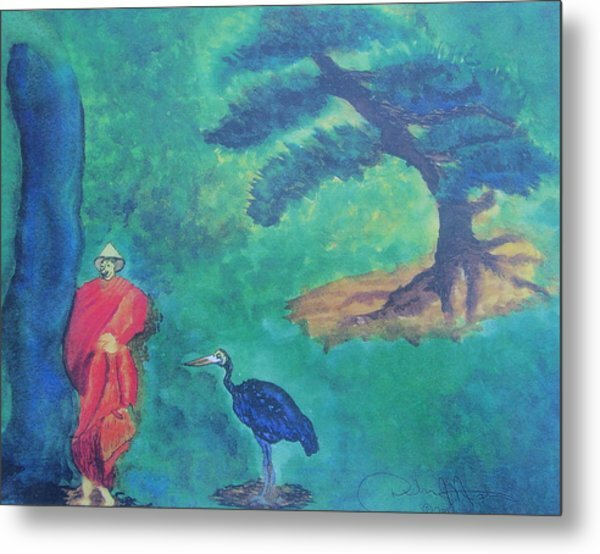 A Monk going to wash his feet at the pond of a beautiful waterfall in a nature setting with a Bonzai Tree and large bird, my version of the human, nature interaction and the mental images so dear to us. This Monk meditates on the Master Buddha obtaining enlightenment through sitting still, peacefully, beneath the Bonzai Tree. Laura, according to Technical Support, the comment area is to comment on your like of an art piece you see, not for technical questions, otherwise I would be happy to assist you further here. Ask them how you can get higher resolution. Seems to be telling a story. Reposted "Monk with Bonzai Tree." 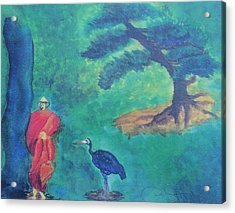 This painting is of a Buddhist Monk in a nature setting, going to wash his feet in the cool spring water of a waterfall pond, imagining the Bonzai Tree where the Great Buddha sat meditating, reaching a state of enlightenment. The bird, as witness, lovingly looks upon the Monk. I am checking will Fine Art America to be sure this posted o.k. Also, there is only the one size available for this Fine Art piece, per Fine Art America. Thank you. Debbie Debbie's Reflections Fine Art Gallery. "Monk with Bonzai Tree" has been reposted with more size options. 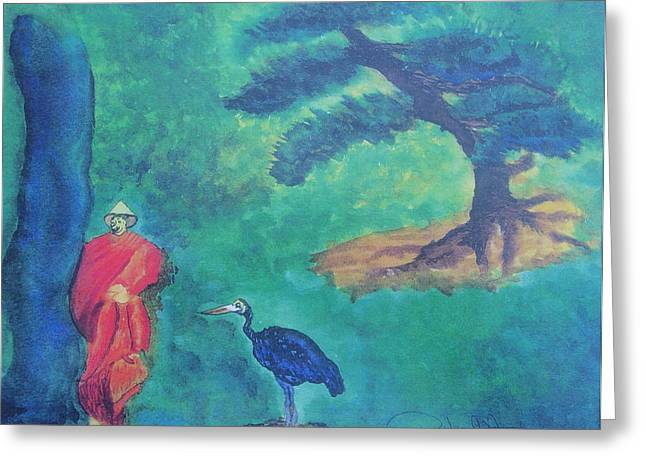 The newly posted "Monk with Bonzai Tree" looks fine on my Fine Art America page. Debbie's Reflections Fine Art Gallery. 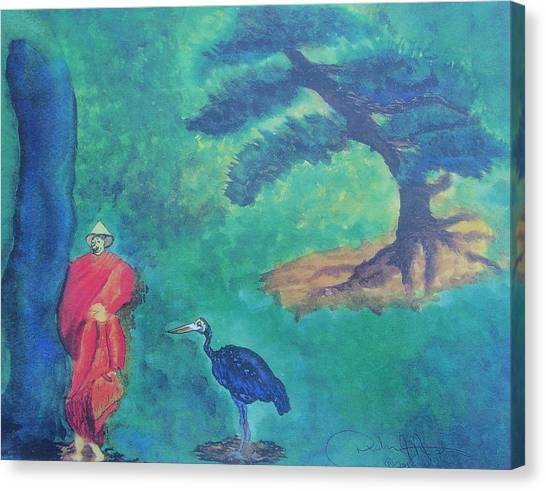 Reposted "Monk with Bonzai Tree," previously titled "Bonzai Tree with Monk." Please click on the image as you will then be able to see the difference - the Stretched Canvas one looks correct and is the coloring of the original. The last one had the coloring off a bit, although it was still good. I will check with Fine Art America to see how all the options turned out to be sure they are correct as the card shows the wrong orientation, and the PDF shows the Framed Print off and the card shows blurry, but the Stretched Canvas looks fine. 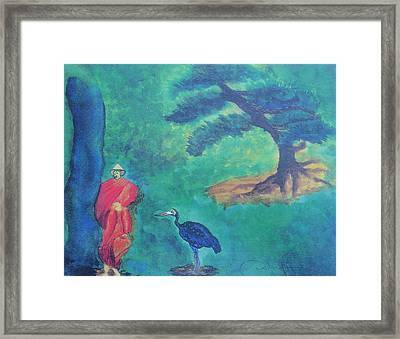 When I clicked on all the options, the cards and poster weren't right, but all the other options were correct; however, the visual that you first see on my Fine Art page shows the old image instead of the one I just posted having the correct colors showing in this Watercolor Painting of a Monk with a Bonzai Tree, Bird, and Waterfall. "Monk with Bonzai Tree" was previously named "Bonzai Tree with Monk." Thank you for your patience while I reposted this Fine Art Watercolor in my Fine Art America Fine Art Gallery: Debbie's Reflectios Fine Art Gallery. If you are interested n purchasing my "Monk with Bonzai Tree" Watercolor Painting, I will have it reposted correctly as soon as a glitch is fixed, and maybe by tonight. Thank you. Please bear with me as I am working on reposting "Monk with Bonzai Tree." I meant to put, "if possibe, and it should:" at end of last comment. 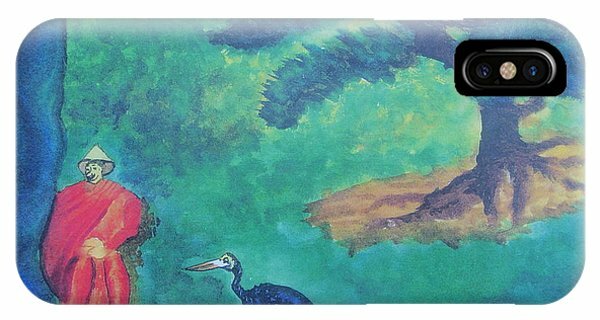 The price on this piece of Fine Art did change as I made it available ina larger size. To the person who asked me, please call me and I will try to work with you on a discount for one of these. This watercolor painting replaces the one that had the date on it. I made this one larger.